KING OF PRUSSIA, PA – VolunTourism, the travel trend that injects a bit of altruism into an escape, is on the rise and has become a hot trend, with 2014 statistics showing as many as 1.6 million volunteer tourists using their vacations to give back to communities. The Valley Forge Tourism & Convention Board is positioning Montgomery County’s upcoming MLK Day of Service as a prime VolunTourism opportunity for both residents and visitors. The tourism organization’s website, recently relaunched after an extensive overhaul, contains information on 15 service projects countywide. Possibilities include everything from helping rescued pets to delivering meals to recording books on tape for children in Africa. On the leisure side, the VFTCB is offering a Winter Escape Pass that provides visitors with a discounted hotel room rate, discounts on adventures like skiing and ziplining, as well as free appetizers at some of the new restaurants in the King of Prussia Town Center, the new retail-restaurant-residential destination taking shape off North Gulph Road, near King of Prussia Mall. “This is a terrific way to spend three days in Montgomery County,” says Lisa Karl, VFTCB Vice President of Sales and Strategic Relationships. “Coming in mid-January, most schools have been back for a while; the weather is a little dreary; and all the color and excitement of the holidays has been put away for another year. This three-day weekend is a great chance for people to get out and do something. The Winter Escape Pass remains in effect until March 31, 2017. 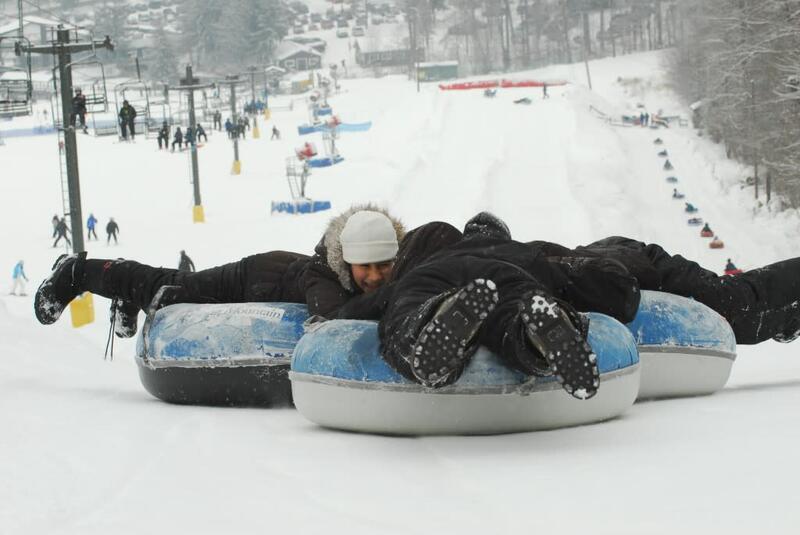 Visit valleyforge.org to learn more about all that Montgomery County has to offer this winter. The Valley Forge Tourism & Convention Board (VFTCB) is a nonprofit, membership-based sales and marketing organization that actively promotes Valley Forge and Montgomery County, Pa., as a convention site and leisure visitor destination by encouraging patronage of its 400-plus member hotels, restaurants, attractions and services. The Board’s award-winning website, valleyforge.org, serves visitors, meeting planners, tour operators and residents, as well as hosts The Pursuit, a nationally recognized blog. The VFTCB oversees a portfolio of brands that include Valley Forge Sports, Montco 360, Destination Montco Weddings, Patriot Trails and Destination Montco Golf. It is also the publisher of the new dining magazine Crave, issued twice yearly.